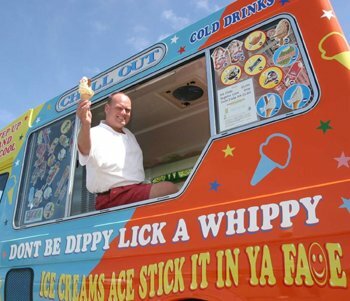 Derek (Degs'y) Walker is officially the Best Ice Cream Man in the United Kingdom! Forget the Rest Lick the Best! Quality Vendors of Quality Ice Cream, Rhyl. Covering most of North Wales but mainly Denbighshire, (A.K.A., Clwyd) with regular rounds in Rhyl, Denbigh, Ruthin, Rhuddlan and St Asaph City. 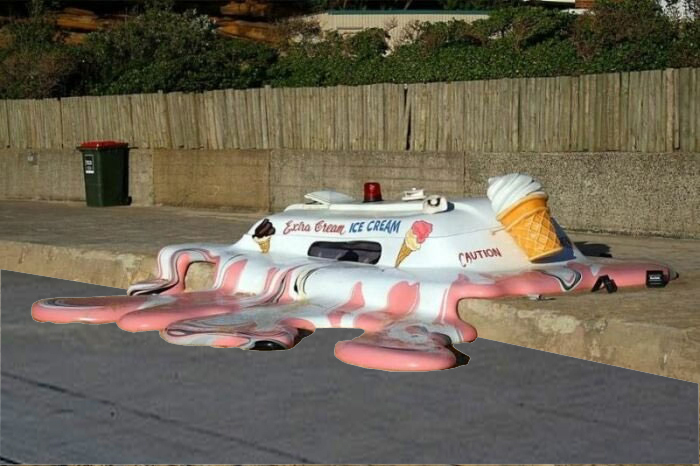 Book an Ice Cream Van for most special events. just let me know your requirements as soon as possible. To avoid disappointment you should contact me at least one month before your event, if I am unable to attend myself I will try my best to put you in touch with another suitable vendor. I pride myself on giving each and every customer the same attention to detail and standard of service I would expect myself. Schools and registered charities can benefit from a percentage donation towards their fundraising programs, all I require is a receipt for the donation I give. Being totally independent of any manufacturer I am able to choose a wide and varied product line. This enables me to keep up-to-date with the latest trends and to substitute one quality brand for another in times of shortage. I only use top quality branded manufacturers and suppliers as well as quality local producers. 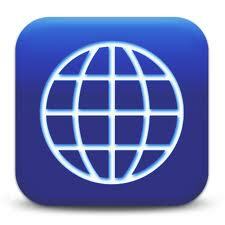 I hope you enjoy your visit and my site helps you to find what you are looking for, I would appreciate any feedback. If you would like to sell more ice cream from your van/truck or any other soft serve ice cream machine, buy the award winning Rainbow Ripple Juicer I promise it will put a smile on your FA E.
Feel free to ask me more about it. Please Beware of Expensive Imitation Ripple Juicers! Nice-n-Sunny Loads-a-Money, Dull-n-Cloudy Degsy's Dowdy.